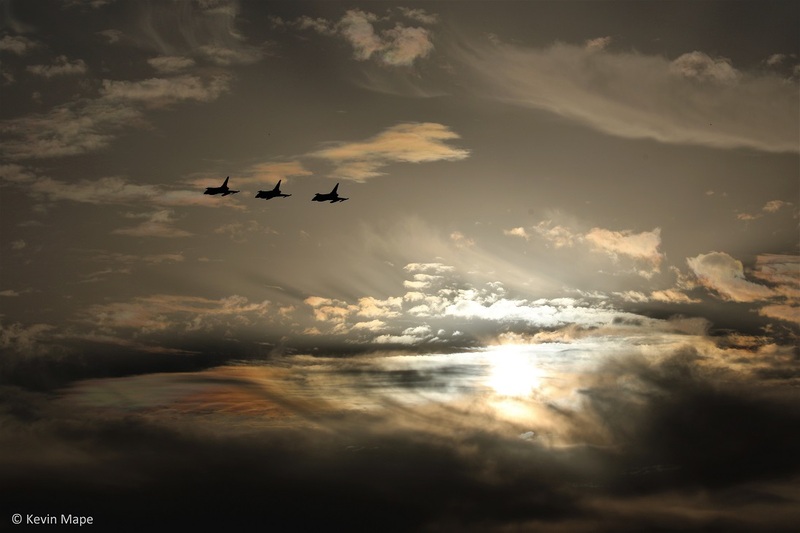 Lets hope August is as good as July was, RIAT and the 100 year flypast have past and I will remember the noise on 26 Typhoons with running engines on the ASP before the mass departures . 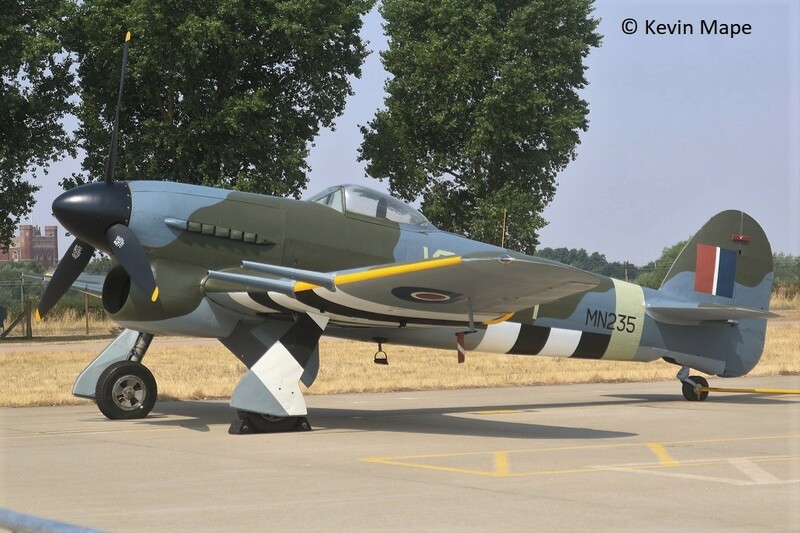 I also enjoyed Families day at Coningsby with the Hawker Typhoon 1B and the Martin Baker owned Black Gloster Meteor T7 sat on the static in the sunshine, It was a shame 41(R)TES did not have a Typhoon in the static . It gave us the chance to retake the RAF Coningsby Gate Guards on the main gate. 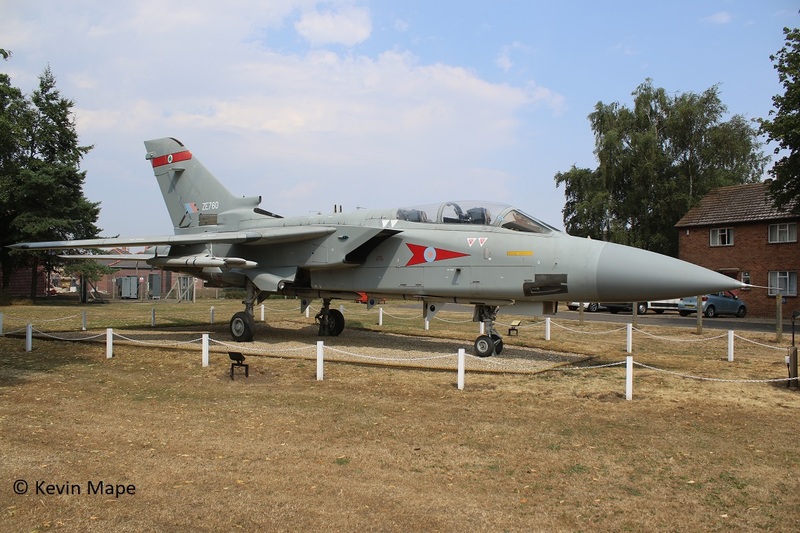 ZE731 Tornado F3 in 5Sqn marks . 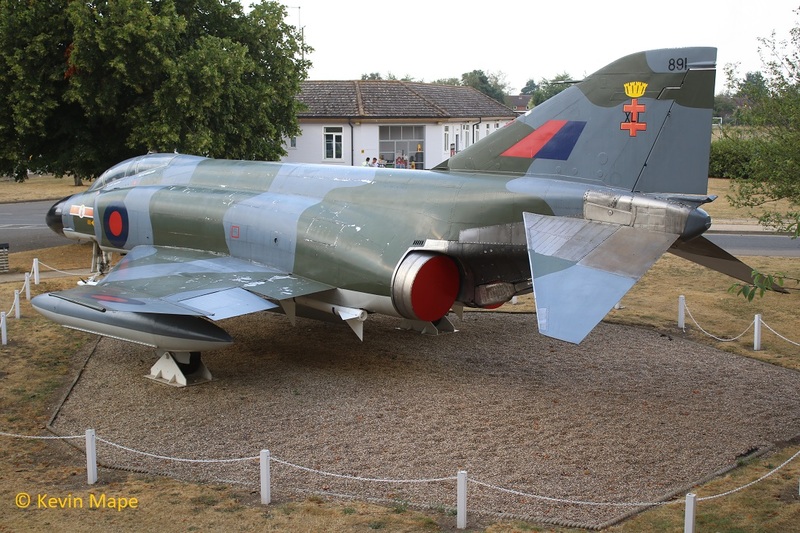 XT891/891 Phantom FGR2 in 41Sqn marks. 1st Wed Log thanks to Susie & Rob W..
G-MAJD/JD/Eastern/Jetstream c/s “East Flt 10H” in “102” out. ZJ920/920 code only c/s “Typhoon 116” — ground abort -taxi back to the ASP. G-FFMV/Cobham/DA-42 Twin Star c/s “Nighthawk” – departed. 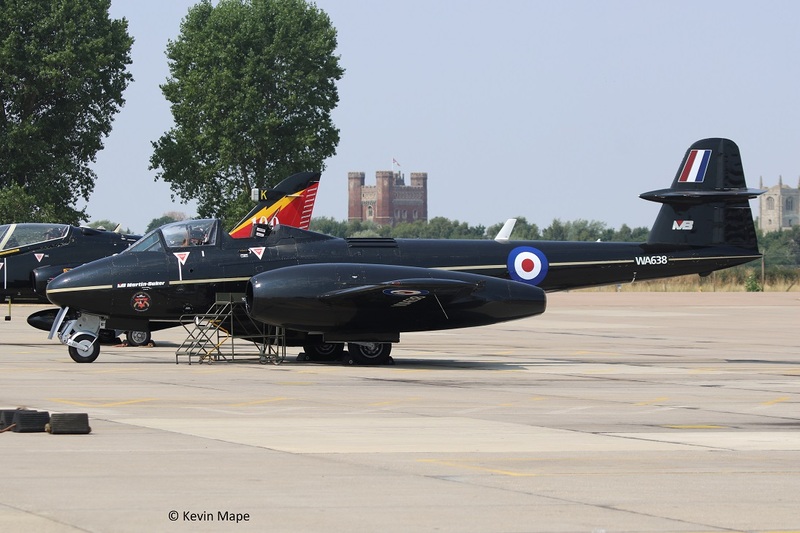 ZK309/309 code only c/s “9XW27” – QRA practice. ZK309/309 code only c/s “9XW27” – Landed. G-ZIOO/32(TR)Sqn/Agusta 109SP c/s “Ascot 1217” – Parked on Sierra. 3rd Fri Log thanks to Rob W & Susie. 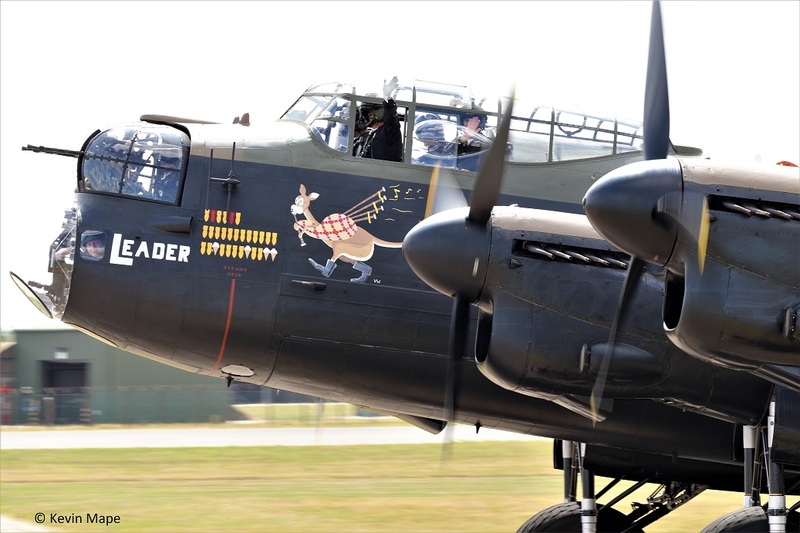 PA474/VN-T/BBMF/Lancaster B1 – Noted outside BBMF. 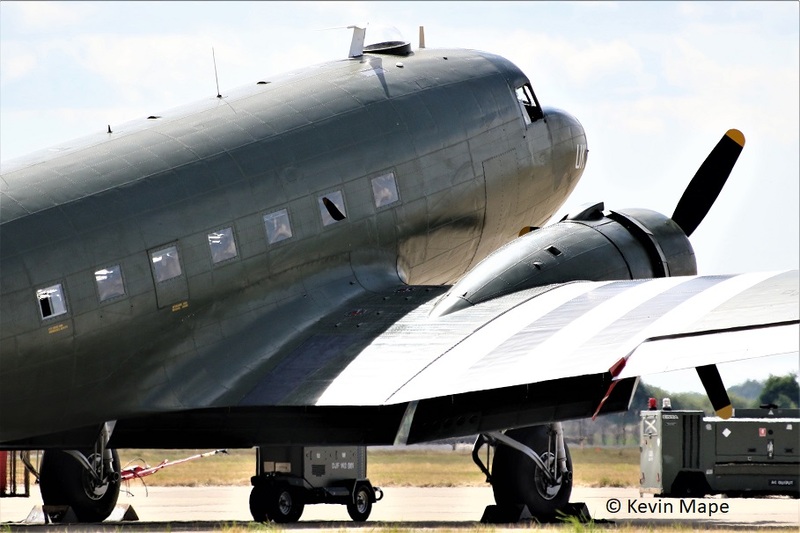 ZA947/UK/BBMF/Dakota III c/s “Dakota 9*” – Airtest. PZ865/EG-S/BBMF/Hurricane IIc c/s “Memorial 2” – To Blackpool with -. 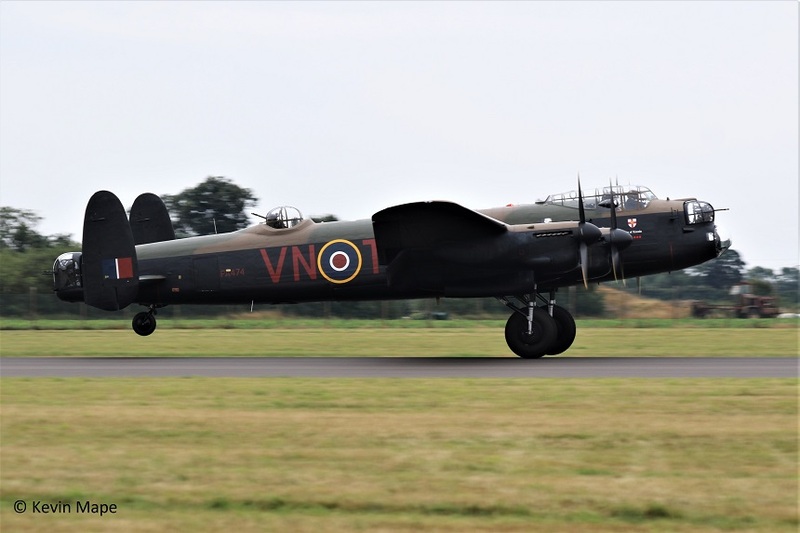 PA474/VN-T/BBMF/Lancaster B1 c/s “Memorial 1” – To Blackpool and return. PS915/BBMF/Spitfire PR XIXe c/s “Spitfire 9*”. PA474/VN-T/BBMF/Lancaster B1 c/s “Lancaster 9*” – Flypast over Lincoln and return. PZ865/EG-S/BBMF/Hurricane IIc c/s “Hurricane 9*”- Flypast over Lincoln and return. LF363/GN-F/BBMF/Hurricane IIc c/s “Hurricane 92”- Returned early due to weather. ZK425/425 code only – Noted outside TMF. ZK426/426code only – Noted outside TMF. ZK339/339 code only c/s “Apollo 12”. ZJ914/914/code only c/s “Cobra 51”. ZK382/382/code only c/s “Cobra 52”. MK356/QJ-3/BBMF/Spitfire LF IXe c/s “Spitfire 97” – Display. MK356/QJ-3/BBMF/Spitfire LF IXe c/s “Spitfire 94” – Display. ZK317/317 code only c/s “Cobra 41”. ZK318/RAF 100 tail c/s “Cobra 42”. MK356/QJ-3/BBMF/Spitfire LF IXe c/s “Spitfire 96” – Display. MK356/QJ-3/BBMF/Spitfire LF IXe c/s “Spitfire 97” – Practice take off 7 landings. 15th Wed Log thanks to Susie & Rich. GZ100/32(TR)Sqn/A-109SP c/s “Ascot 1381” – Parked on the ASP. ZA554/046/RAF 100 tail/ Tornado GR4 c/s “Primus 2” – Overshoot. ZM504/DHFS/Juno HT1 c/s “Red 10” – Overfly. ZK426/426 code only – Engine runs. 16th Thur Log thanks to Susie and Garf. PZ865/EG-S/Hurricane IIc c/s “Hurricane 01” – Display. ZF290/290/1FTS/Tucano T1 c/s LOP 43″ – high overfly. ZJ919/919/6Sqn c/s “Typhoon 39” – Delivery from Lossiemouth. N326/860Sqn /NH90 NFH/Royal Netherlands Air Force c/s “Neptune 11”- Parked on Sierra – fuel stop. 29(R)Sqn – c/s Typhoon 29-55,100 series,300 series. Cobra, Gunfighter, Triplex, Warlord. 3(F)Sqn – c/s Typhoon 03-28,Chaos,Nightmare, Rampage, Tyrant.